In a unique joint investigation between European Judicial and Policing Forces, hundreds of police are understood to have participated in a simultaneous sting targeting the ‘Ndrangheta Mafia in Europe. Judicial and law enforcement authorities in the Netherlands, Italy, Germany, Belgium and Luxemburg have taken coordinated and decisive action against the ‘Ndrangheta. An aggressive mafia-style organised criminal group and one of the most powerful criminal networks in the world, which is thought to control as much as 80% of Europe’s cocaine trade. As well as instigating systematic money laundering, bribery and violent acts. The ‘Ndrangheta mafia comes from Calabria in southern Italy, with approximately 6,000 members, clearly a substantial and far-spread force in European crime. The operation, code-named ‘Pollino’, is the biggest of its kind to date in Europe. Several hundred police, including special intervention units, were engaged in yesterday’s action, together with prosecutors and investigative officers. The judicial authorities and law enforcement agencies involved have been working intensively together since 2016, including in a Joint Investigation Team (JIT). 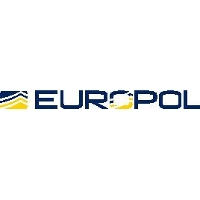 As a result of this cooperative investigation and sting, almost than 4,000 kg of cocaine and 140 kg of ecstasy have been found across Europe during the course of Operation “Pollino.” By 12.00 yesterday, 84 suspects had been reported arrested, including high-ranking members of the mafia network. As of now, at least 90 arrests have been made and an estimated EUR 2 million in criminal assets are expected to have been seized. Many witness hearings and house searches will be conducted, securing important evidence to be used at trial. The ‘Ndrangheta mafia network, that has its base in Southern Italy is known to operate by starting legitimate businesses in other countries as a cover to expand overseas, smuggling drugs, laundering illicit profits and claim new territories as areas under their control. By splitting the activities per country, the mafia network aims to exploit legal differences between criminal jurisdictions and to escape attention, since each crime, if only investigated separately may appear as an isolated act rather than part of an international operation. Italian restaurants and ice cream parlours used to launder money were among the premises raided. Millions of Euros in laundered money has been seized at the businesses and homes raided across the four countries. Actions are also understood to have been taking place in Suriname, South America. 5 arrests. Seizures of almost 4,000 kg cocaine and 140 kg of XTC pills. Dutch investigators from FIOD and the Dutch Police have also helped to search in Italy and Germany. The main focus has been in the regions Calabria and Catanzaro in Northern Italy. There have been 41 arrests. There has also been close cooperation with other German Italian Organised Crime investigations, especially with the Organised Crime Units of the Landeskriminalamt NRW as well as the Office of the Public Prosecutor and the Police in Cologne, where coordinated arrests and searches have been executed today. Two suspects have been arrested and the national investigation is ongoing.